There are three internationally-known DC’s practicing here in the Valley of the Sun. Dr. John Amaro in Carefree is the most renowned Chiropractic Acupuncturist in the world. He is the President of the International Academy of Medical Acupuncture and you can find his bio on the Academy’s website, www.iama.edu. Dr. Arlan Fuhr in Phoenix is the inventor of the Activator adjusting instrument and is the President of Activator Methods International. 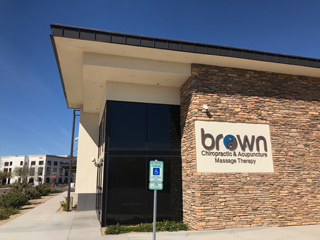 He has taught and lectured on Chiropractic technique all over the world. You can find his bio on the website, www.activator.com. 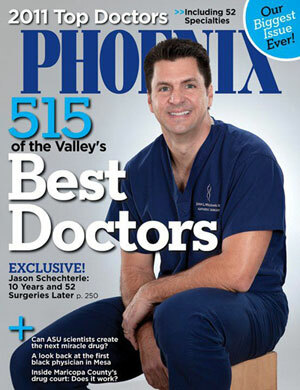 Dr. Chris Colloca in Ahwatukee is one of the pre-eminent innovators and researchers in the Chiropractic profession. He is the President of Neuromechanical Innovations and on the faculty of Arizona State University. You can find his bio on the website, www.neuromechanical.com. There are 2,600 licensed DC’s in the State of Arizona, one of the largest DC populations in the United States. Including DC’s in the Top Docs issue, or at least a separate issue on Top Docs in Chiropractic, would make for a very interesting and popular issue.